Think Spring Branch is all 70’s-era fixer uppers at the edge of town? You owe Spring Branch a visit- and there’s no better place to start than the Branch’s newest community: Spring Brook Village. 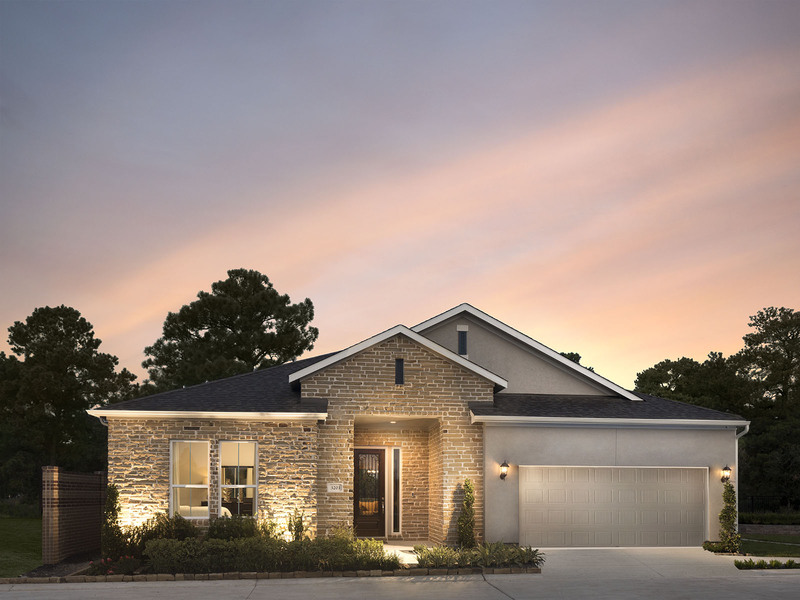 Located at the corner of Clay Road and N. Gessner, this new development by Meritage Homes replaces a run-down, seldom-used golf course with a self-contained community of new homes and amazing amenities you won’t find anywhere else this close to downtown! In addition to a community center with a pool, gym, and party room, the development includes a natural lake, dog park, and paved walking trail system for resident’s enjoyment. The lake was created to ensure the grounds have a self-contained drainage system to address Houston’s heavy rains, and overflows into nearby Brickhouse Gully to ensure rainwater isn’t diverted into the surrounding neighborhoods. 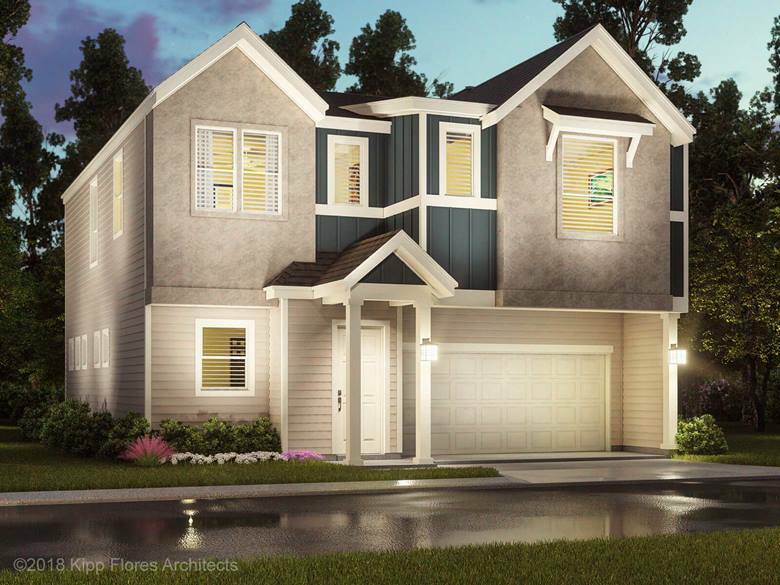 There are 3 collections of homes being built, including 1 and 2- story Executive Homes, as well as 2-story Patio Homes and 2-story Townhomes. The 5 models I toured covered all three collections, and there’s something for everyone among the various floor plan options within each collection. I was particularly impressed by the Executive home model, shown in the 2 pictures above. Sited on slightly larger tracts, these homes offer an outdoor seating area off of the main living area. In the option shown above, 3 sliding-glass panels stack aside and almost disappear to bringthe outdoor and indoor space together on our beautiful Texas days and nights. 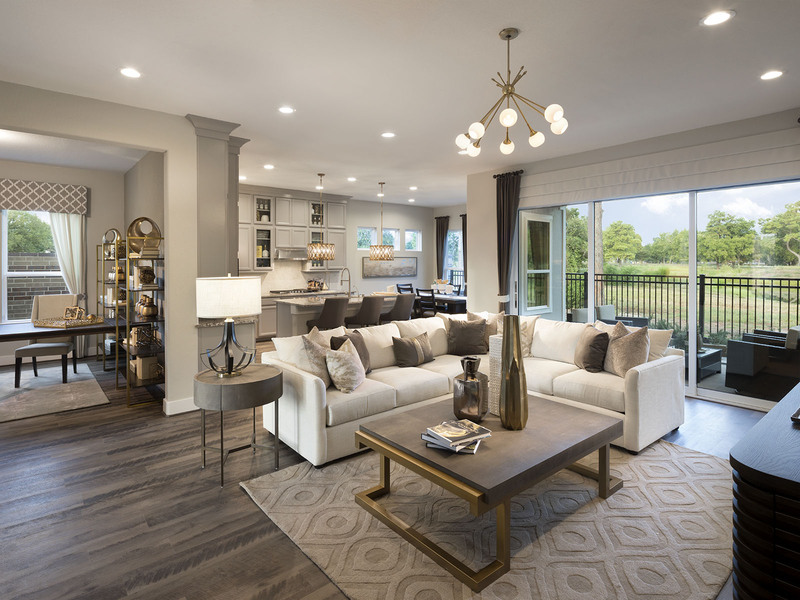 The Patio Homes Collection also features open floor plans and luxury finishes, and the choice of floor plans includes master suites up or down. There are dual master suite options, game rooms, and large open living areas for family gatherings and gracious entertaining. If you’re considering a move in the Spring Branch area, check out Spring Brook Village! Whether you are looking to downsize or you need more space for a growing family, there’s something here for you! Inventory homes are available now.